FM Dental Group (Arlington) - Book Appointment Online! Fernando Maravi, D.D.S. 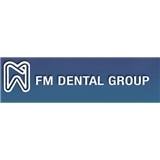 welcome you to FM Dental Group, PLLC in Arlington, Virginia– Washington, DC's hub for contemporary dentistry excellence. We provide expert care aimed at protecting the longevity of your dental health and promoting your overall well-being. With detailed precision, efficiency and thoughtfulness we care for our clients like family. Dr Maravi and his assistants are always so nice! He remembers our conversations and asks about things we talked about 6 months ago at my last cleaning. He is very thorough and does the full cleaning himself. He never recommends anything excessive or unnecessary, and actually convinced me not to go through with an elective procedure, although it would have meant more money for him. I drive an hour each way to get to his office, and it is worth it every time.